Catherine Townsend is co-founding director of Townsend + Associates Architects (est. 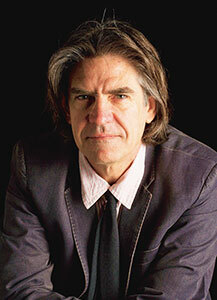 1993) and has practiced architecture in Canberra since graduating from University of Sydney in 1984. 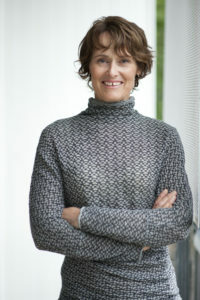 Catherine is a Life Fellow of the Australian Institute of Architects and was elected President of the ACT Chapter in 2002 – the second woman to hold the position; and was re-elected for a second term in 2004. Her interest in representation and community issues led to positions on the 2003 Bushfire Recovery Taskforce, juror on the National Portrait Gallery Design Competition and Advisor for the Canberra International Arboretum Design Competition. She combines roles in industry regulation review and development, policy development and advocacy with the delivery of highly resolved architecture. Catherine maintains an active involvement in the wider role of architects in the urban environment and champions progress through intelligent design. Her positions on the ACT Building Regulatory Advisory Committee and with the Architects Accreditation Council of Australia strengthen her focus on construction quality issues. Peter Poulet is 23rd NSW Government Architect. 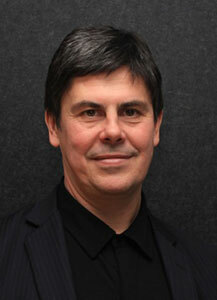 He has over 30 years’ experience in Australia and Japan in both private and government architectural offices. As the Government Architect, Peter provides independent, impartial whole of government perspective and advice on the built environment and heritage to achieve optimal architectural, urban design and environmental outcomes. Peter’s projects have received numerous awards including the Horbury Hunt, the Blackett Award and an Australian Institute of Architects’ commendation for Public Building. Peter is a member of the NSW Architect’s Registration Board, Central Sydney Planning Committee, NSW Heritage Council, Trustee of the ANZAC Memorial, Sydney Opera House Conservation Council, Government Architect’s Network Australia, UTS Design Architecture & Building Advisory Board and is a UNSW Adjunct Professor. Peter’s involvement in numerous boards and committees ensures good design and plays a pivotal role in the making of our built environment. Lawrence Nield was the 2012 Australian Institute of Architects Gold Medallist and is a Professor of Architecture at the University of Newcastle. He was founding principal of Bligh Voller Nield where he was responsible for many award winning buildings including the University of the Sunshine Coast Library, the Mt Druitt Hospital, the Overseas Passenger Terminal in Sydney, St Vincent’s Hospital, the Olympic Tennis Centre, and Questacon in Canberra. He headed up the master planning team for the Sydney Olympic Games and designed major venues in the Sydney, Athens, Beijing and London Olympic Games. He is the Chair the NSW Heritage Council and now runs a small practice with Andrea Nield, Studio Nield, which practices in Sydney and Hong Kong. Malcolm Middleton was appointed Queensland Government Architect in July 2011 after a wide ranging 30 year career in private practice. He holds an honours degree in architecture from Sydney University and a masters degree in Urban Design from QUT. In the role of Government Architect he chairs the Queensland Urban Design and Places Panel and sits on a number of specific design review panels and advisory boards in the region including the Brisbane Airport Design Development Integrity Panel, Griffith University Architecture School Professional Advisory Panel and the University of Qld Master plan Committee. He is former member of the Queensland Heritage Council, a past president of the Property Council in Queensland and served for 6 years on the South Bank Design Advisory Panel. In 2011 he was the Awards Director for the AIA in Queensland and has served on many professional awards juries over many years. 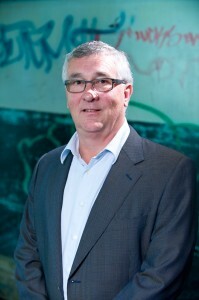 His private practice work includes work in the urban design, tourism, residential, education and commercial sectors including the Roma Street Parkland- winner of the State Award for Urban Design, Rail stations for the Brisbane Airtrain and the recent multi award winning Hinze Dam Visitor Centre and Parkland. Kirsteen is SA Government Architect, Office for Design and Architecture SA (ODASA) heading up the Architecture and Built Environment Directorate within the Department of Planning Transport and Infrastructure (DPTI). Kirsteen manages a broad range of services including providing strategic precinct planning advice, design review, design support for major projects and strategic property services advice. Kirsteen’s role works across government and aims to achieve the best design outcomes for the community. Kirsteen joined ODASA after four years as Head of Design Review at the UK’s Commission for Architecture and the Built Environment (CABE) and 15 years in private practice. She is a registered Architect both in the United Kingdom and South Australia. Delivering over 1500 reviews of significant developments and infrastructure projects across England, Kirsteen brings extensive experience to both ODASA and Design Review. She was a key design representative for the UK Government in the London 2012 Olympic Games and Legacy, Crossrail and the Building Schools for the Future programme. Kirsteen has taught throughout her professional career at the Bartlett, University College London, the Architectural Association and the Royal College of Art, where she was also an inaugural Research Associate. She is a fellow of the Royal Society of Arts and founder of an award winning practice working across Europe. Jill joined the OVGA in 2010, bringing to the role of Associate Victorian Government Architect an enthusiasm to participate in the significant public forum associated with Victoria’s built environment, which she believes benefits from her ongoing experience in practice, her knowledge of regional Victoria, and her visible presence within the discourse of Architecture. Jill’s background includes an apprenticeship over ten years with several of Melbourne’s influential design practices. She is a co-founder of Garner Davis Architects, a St Kilda based architecture studio, who in 1995, won an international design competition for the Wagga Wagga Civic Centre and commenced what she likes to think of as a continuing lineage of considered and articulate public buildings and private works. She completed her Masters by Design at RMIT as one of the first graduates of the innovative practice-based research course. Jill has taught at both RMIT and Melbourne University in design, architectural history and contemporary theory, and is regularly invited to contribute to architectural events, awards juries, publications and journals, seminars and local and interstate lectures. She has, over her career as a practising architect, regularly represented the architectural profession as an advocate for the importance of architectural design and innovation – providing relevant expertise for her current role. Geoff Warn was appointed as WA Government Architect in November 2013. He is a highly respected practitioner and director of Donaldson + Warn, an award-winning multidisciplinary design studio with a strong reputation for design expertise and with extensive experience in architecture, urban design and master planning. Donaldson + Warn has been awarded many citations, including two George Temple-Poole Awards (Western Australia’s highest architectural award), the Premier’s Award for Civic Design, the 10th Anniversary BHP Steel Award and a British Airways International Eco-Tourism Award. The practice’s work has been widely published both nationally and internationally, including a monograph published by Birkhauser, and has twice been included in the Venice Biennale of Architecture. Geoff has amassed 33 years experience across many aspects of architectural practice including a long-standing commitment to architectural education. Geoff has taught at both schools of architecture in Perth and has lectured in Melbourne, Sydney, Brisbane, Adelaide, Newcastle, Berkeley (USA), San Francisco, Kuala Lumpur and Berlin. 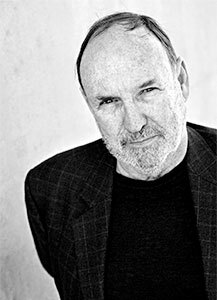 He was an Honorary Research Fellow at the University of Western Australia, an Adjunct Professor of Architecture at Curtin University, and also Adjunct Professor to the School of Fine Arts at Curtin University. Geoff attended the Domus Academy Winter School Master Class, and has a Masters of Architecture from RMIT. Throughout his career Geoff has been an enthusiastic promoter and spokesperson for the value of design excellence and creative practice. He has been actively involved on a range of government and institutional advisory review boards and awards panels including the Perth Waterfront Design Review Panel, LandCorp’s Design Review Panels, Northbridge Link Design Review Panel and the 2008 RAIA National Awards Panel. He is a member of the Editorial Advisory Committee for Architecture Australia, and a keen advocate for the value of the arts.